I was born in 1974 in the city of Ovada, Italy. I graduated in Biology at the Universita' del Piemonte Orientale "A. Avogadro"(UPO) in 1999 and obtained a PhD in Environmental Sciences from the same university in 2003. During the period 1999-2002 I have also served the Biotech enterprise INNOSENSE srl as a R&D staff scientist, working on biosensors for environmental monitoring and the development of innovative cyanine dyes for applications in the Life Sciences. After my doctoral studies, I moved to the Dresden University of Technology (Germany) as an EU Marie Curie postdoctoral fellow, joining Prof. Erich Wettwer at the Department of Pharmacology and Toxicology. There I started to work on voltage-gated potassium channels (Kv) and related channelopathies. In 2006 I returned back to Italy, benefiting a Marie Curie European Reintegration Grant (ERG) and established a small research unit at the Department of Medical Sciences at UPO in Novara, focusing on a small family of potassium channel-interacting proteins, namely the aminopeptidase-like proteins (DPL). 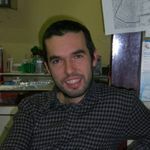 In 2010 I joined Prof. Federico Sesti at the University of Medicine and Dentistry of New Jersey (UMDNJ) in Piscataway (USA), learning to use the nematode worm Caenorhabditis elegans as an in vivo model to study channelopathies, with particular regard to cardiac and neurodegenerative disease. In 2011 I have been appointed Assistant Professor of Applied Biology (BIO/13) at the Medical School of the Universita' del Piemonte Orientale "A. Avogadro" and I am currently a member of the Applied Biology Laboratory team at the Department of Health Sciences in Novara. Of the more than 400 ion channels in the human genome, at least 170 are known to encode potassium channels (K+ channels). They contribute to important biological functions like control of the cell volume, membrane potential, neuronal excitability, and the secretion of salts, hormones and neurotransmitters. The functional diversity arise from their molecular diversity at both genetic and post-translational levels. In addition to the large number of pore-forming subunits (alpha-subunits) there are dozen of auxiliary subunits (beta-subunits) that, when co-assembled with alpha-subunits, produce K+ channels with different properties and expression characteristics. The Kv4 subfamily of voltage-gated K+ channels is the mammalian homologue of the Drosophila Shal K+ channel. It contributes to the generation of the transient outward current (Ito) in the heart and the A-type current in the brain. Its activity is modulated by interactions with beta-subunits belonging to the KCNE, KChIP, KChAP and dipeptidyl aminopeptidase-like families. Although considerable progress has been made in identifying the Kv channel pore-forming subunits that encode cardiac Kv channels, the functional roles of accessory subunits are poorly understood. Among them DPP6 and DPP10 represent a new emerging class of K+ channels beta-subunits. They are dipeptidyl aminopeptidase-like (DPL) proteins homolog to DPPIV (CD26) but lacking any detectable enzymatic activity. When DPP6 or DPP10 are co-expressed together with Kv4.2 (or Kv4.3) and KChIPs, they reproduce K+ currents very similar to native currents as observed in myocytes and neurons. Most, if not all, cellular processes undergoing physiological and pathological conditions rely upon protein-protein interaction, and the experimental strategies addressed to identify these interactions provide a wealth of targets for diagnostic and therapeutic intervention. As a result, new and improved methods are in constant demand for (1) identifying natural ligands of key cellular component to study their roles in disease, and (2) developing surrogate ligands for therapeutic intervention and diagnosis. My research interest is focused on the elucidation of the physiological role of DPP6 and DPP10 through the identification of their binding partners (included putative substrate proteins) and characterization of their structure-function relationships. These data will add impetus to the development of inhibitor molecules for pharmacological or therapeutic use. In order to achieve this result I use an interdisciplinary approach, based on HTS (high throughput screening) selection of interacting partners, as the yeast two-hybrid system and the protein complementation assays (PCA), and confirmation by electrophysiology and biochemical techniques. Preliminary results from the Yeast two-hybrid selection of DPLs partners identified several proteins of the cytoskeleton and intracellular transport machinery as putative binders. These data show a complex mechanism responsible for the cell surface expression of Kv4 channels. Cotella D, Hernandez-Enriquez B, Wu X, Li R, Pan Z, Leveille J, Link CD, Oddo S, Sesti F (2012). Toxic role of K+ channel oxidation in mammalian brain. J Neurosci. 21;32(12):4133-44. Cotella D, Radicke S, Cipriani V, Cavaletto M, Merlin S, Follenzi A, Ravens U, Wettwer E, Santoro C, Sblattero D (2012) N-glycosylation of the mammalian dipeptidyl aminopeptidase-like protein 10 (DPP10) regulates trafficking and interaction with Kv4 channels. Int J Biochem Cell Biol. 44(6):876-85. Cotella D, Radicke S, Bortoluzzi A, Ravens U, Wettwer E, Santoro C, Sblattero D (2010). Impaired glycosylation blocks DPP10 cell surface expression and alters the electrophysiology of I (to) channel complex. Pflugers Arch. 460(1):87-97. Boria I, Cotella D, Dianzani I, Santoro C, Sblattero D (2008). Primer sets for cloning the human repertoire of T cell Receptor Variable regions. BMC Immunol. 29;9:50. Radicke S, Cotella D, Graf EM, Banse U, Jost N, Varró A, Tseng GN, Ravens U, Wettwer E. (2006) Functional modulation of the transient outward current Ito by KCNE beta-subunits and regional distribution in human non-failing and failing hearts. Cardiovasc Res. 71(4):695-703. Radicke S, Cotella D, Graf EM, Ravens U, Wettwer E. (2005). Expression and function of dipeptidyl-aminopeptidase-like protein 6 as a putative beta-subunit of human cardiac transient outward current encoded by Kv4.3. J Physiol. 565(Pt 3):751-6. Cotella D, Jost N, Darna M, Radicke S, Ravens U, Wettwer E. (2005) Silencing the cardiac potassium channel Kv4.3 by RNA interference in a CHO expression system. Biochem Biophys Res Commun. 330(2):555-60.